Scott's dad Merv started playing old time music in 1944 as a youngster. His very first performance was a fundraiser for the local school house just outside of Fergus, Ontario. By 1950, he had formed his own band known as The Merv Woods Orchestra. They soon became very busy playing for dances, socials, garden parties, weddings, anniversaries and more, many of which were fundraisers. In 1956, a young lady named Carolyn Dyer joined the band as the pianist. The Dyer family was also very musical and had for many generations been playing Old Time Fiddle Music. In 1960, Carolyn & Merv were married and went on to have 4 children, Elizabeth, Kendra, Bruce and Scott. All of the children studied classical violin and piano and were already performing with the band by the time they were 8 years old. 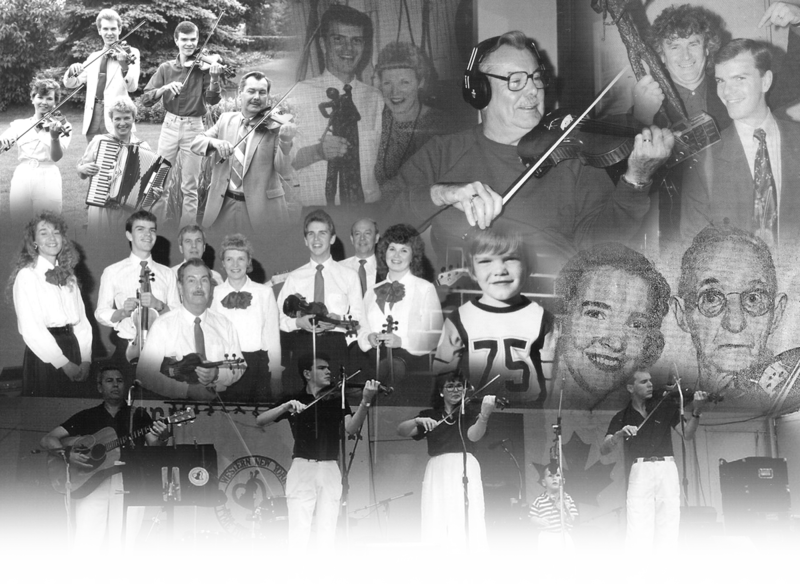 From large stages and theatres to community halls, school houses, barns and even a raft in the Elora Quarry, The Woods Family shared their love of Old Time Music with others all across Ontario and the Northern United States for many years. By the mid 1980's, Merv's role as leader of the band was passed on to Scott and The Scott Woods Band was formed. Merv continued as manager and sound engineer for the group up until his death in 2003. Keeping the tradition started by his dad, Scott and the band have expanded their travels right across the country and are now playing fundraising concerts. They help to raise hundreds of thousands of dollars each and every year for churches, charities and community organizations. Their love of music, fun and family continues to be evident both on and off the stage.